Venezuela although a Caribbean country enjoys a wide variety of climates and landscapes thanks to the presence of the Andean range. 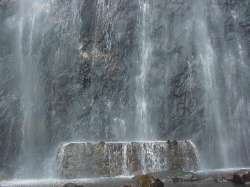 This region offers extraordinary views and picturesque spots which make it an authentic tourist pole. Valleys, moors, lakes, small towns with old churches Every corner full of beauty and grace to be enjoyed. 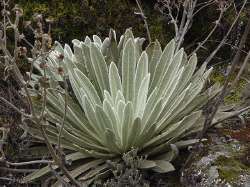 Frailejon a typical bush from the Andes, can endure in a single day drastic changes in temperature. Its average lifetime is considered to be 150 years. 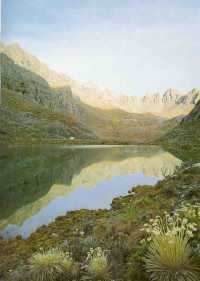 When in the Andes, an excursion to any of the nearby lagoons like Mucubaji is worth considering. Most of them are remainders of ancient glaciers; here besides the scenery, the visitor may relish a peaceful relaxing atmosphere. 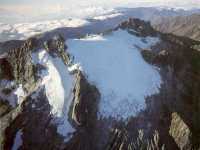 We invite you to take a closer look at the Andes visiting our site. Trujillo a small town full of history and tradition also called "The Portable City" for having changed its location several times, is the door to the Andean region. 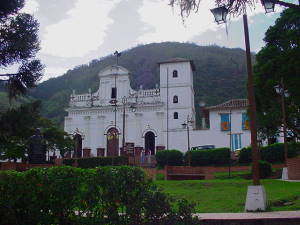 A twenty minute drive from Trujillo will take you to La Virgen de La Paz one of the highest monuments in South America. 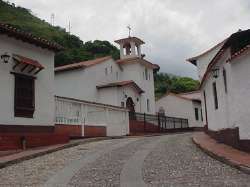 Another charming town not to be missed is Bocono, La Ciudad Jardin, (The Garden City) where you can admire beautiful surroundings, an old church, colonial streets and squares and El Trapiche, an interesting local museum. On the main road from Valera to Merida it is well worth making a detour to see the charming Jajo one of the most beautiful towns in Trujillo, with nice small white houses and paved streets. Driving along the Transandina (main road from Trujillo to Merida) you get to Ruta de las Nieves. On one side, small houses pretending to reach the sky; on the other, steep cliffs lowering down to touch the Chama river. 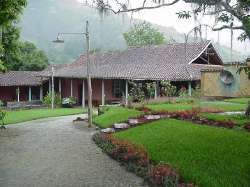 1Off the Ruta de Las Nieves toward Barinas State, within an easy driving access. 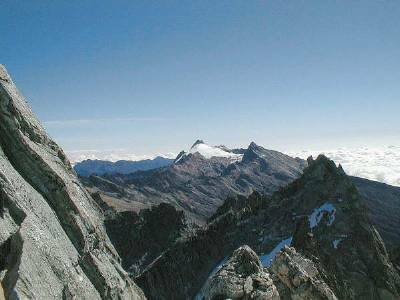 is Mucubaji ; from there, the daring tourist can hike to Laguna Negra ( Black Lagoon) and Laguna de Los Patos (Ducks Lagoon) and other peaks which are at higher and more secluded spots. Driving on the road you will come across Santo Domingo an excellent hotel center offering good standard amenities. 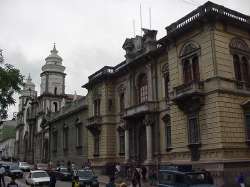 Merida also known as Ciudad de Los Caballeros (The Gentlemen's City, a name fully honored by its citizens' proverbial polite manners and so well spoken Spanish) is the headquarters of one of the most prestigious universities. It shelters students from all over the country who confer the city a youthful jovial atmosphere. 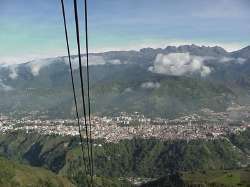 Besides being an excellent starting point for touring the Andes, Merida itself offers many interesting attractions, including the worldwide highest and longest cable car which can take you to Pico Espejo (Espejo Peak) 4600 m.
A visit to the two famous theme parks Los Aleros and Venezuela de Antier will give you the chance to get to know the Venezuelan way, taste typical meals, have fun and plenty of laughter. 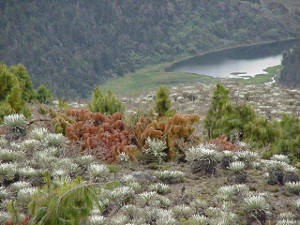 A short ride from Merida will take you to Paramo la Culata (Culata Moor). 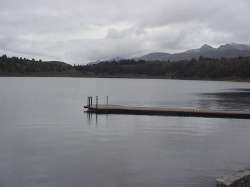 Along the way you will pass by a great variety of hotels, inns, restaurants and trout hatcheries. 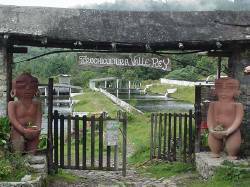 Proceeding to Tachira State you will first come across Tovar and Bailadores and then Paramo la negra (Negra Moor). On this road, you will have the opportunity to admire breathtaking landscapes full of a nowadays rare bucolic beauty.